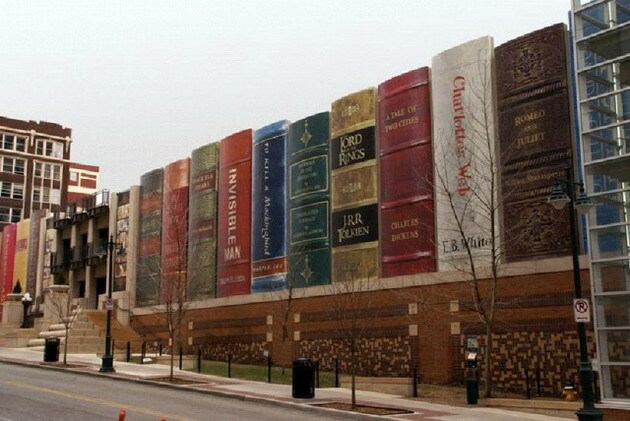 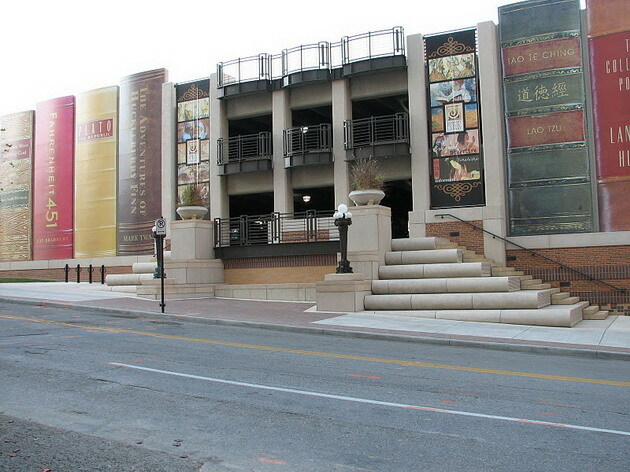 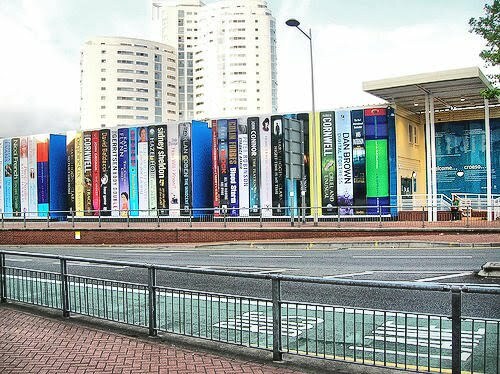 This is a public library in Kansas City which looks alike giant bookshelf! 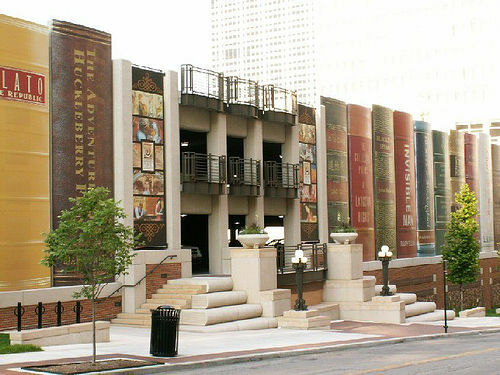 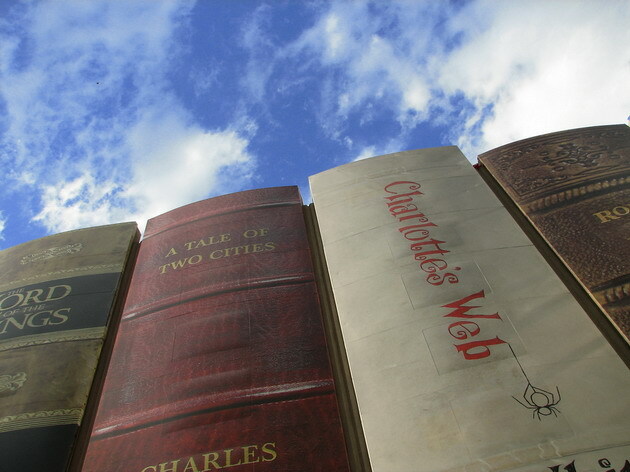 But these are the pretty cool and unusual architecture wall design which attracts the visitors to bring in the library. 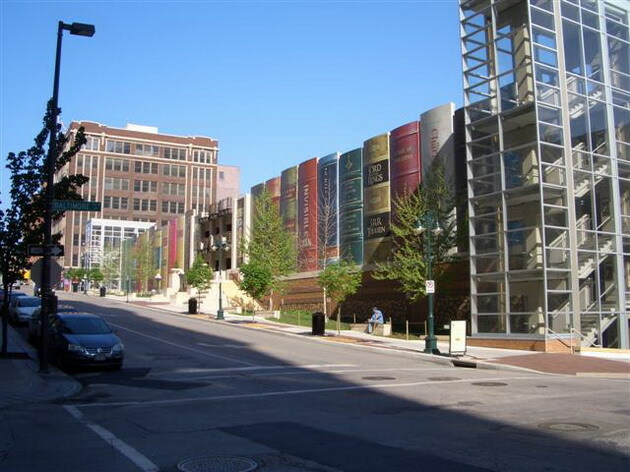 This funky building is the parking garage for Kansas City's Central Library. 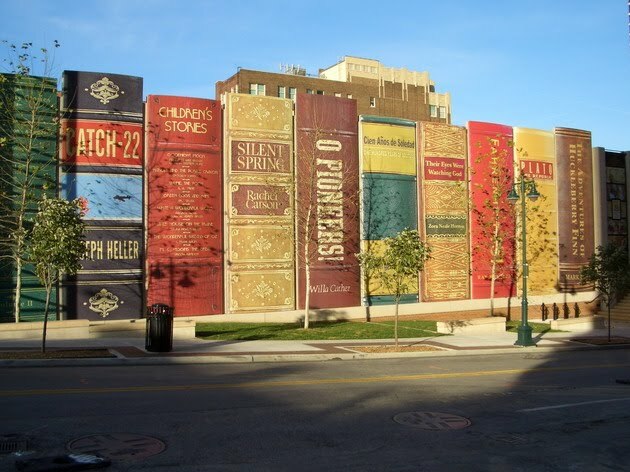 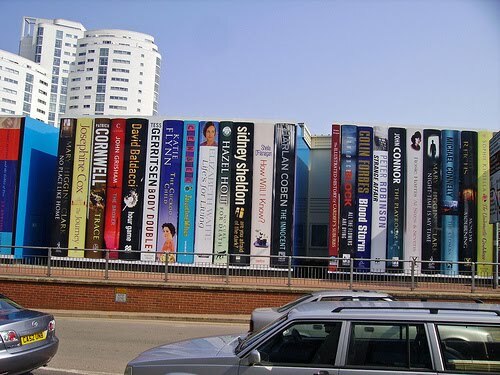 The walls of this building featuring 22 book titles, these titles were suggested by the Library's Board of Trustees & members.